I never imagined I’d have a need to research hats. But I did. I learned of brims, crowns, and pinches. I also read up on sweatbands and bow ribbons. I even found a couple of websites that gave examples of items tucked into bow ribbons; feathers, playing cards, and such. It’s amazing what you can find online. But I didn’t set behind my computer one day and say: “I need to find out more about fedoras.” It actually started with my son. In a discussion with him that began about who knows what, he made a statement in which he said, “no man who wears a fedora nowadays can seriously expect to get a girlfriend.” Or something to that effect. I might be paraphrasing, but the basic intent is there. That simple, seemingly innocuous (although blatant anti-hat bigotry) statement started to roll around in my head. How would a guy in the future feel about wearing hats? Then I thought, what if a guy in the future was obsessed with hats? Which led to the idea that having something so basic and mundane as a hat in a future world would be interesting and could add an interesting dynamic to a story. 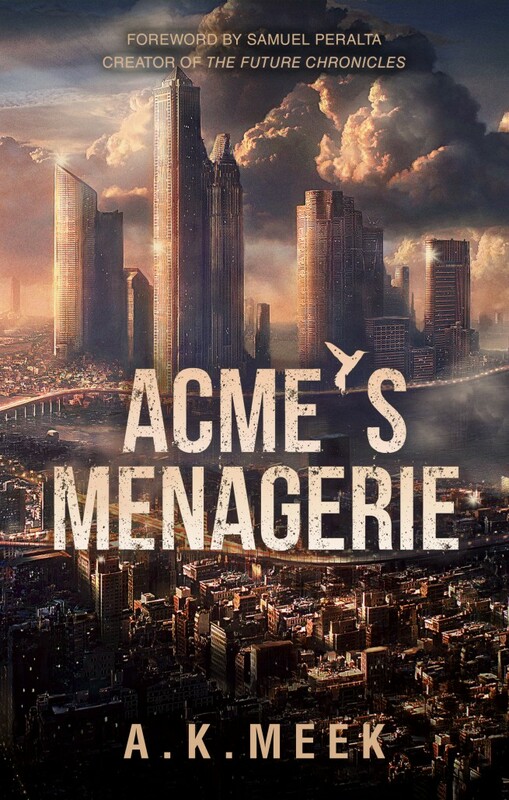 This was the genesis for my novel, Acme’s Menagerie. In it, the hero of the story has exactly that, a thing for hats. For fedoras. He has a wall with numbered pegs, specific homes for each one of his beloved 75 fedoras. Once I started down this road, it became a rabbit-trail of hats in future society. Would everyone wear the same kind of hats? What statements could be made by it all? Then the idea blossomed into researching other types of hats for the characters in the story: Panama Jacks, kangols, stetsons, bowlers, and many, many more. What would girls wear? Old guys, bosses, hipsters? Even though the hats weren’t central to the main storyline, they worked tirelessly in the background, providing intimate detail to define characters. For example, Tim, the hero of the story, begins as a greedy, materialistic guy. That’s shown through his obsession with his hats. A prominent political figure wears a homburg, the one-of-a-kind hat is a clear expression of his position and title. A street-wise hoodlum goes hatless; he’s bucking the popularity trend and is anti-establishment. The hats say a lot without saying much at all. Click the cover to go to my Amazon page and see the sci-fi story that features hat.